All in all, my little town fared very well, considering how bad it could have been. I had some difficulty getting to the EOC last night as streets were flooded; but I got there. As I was sitting down for my shift behind the radios, other CERT members were being called in, to go to the high water areas in town. They were going to go door to door, banging on doors and telling folks that this was it, their last chance to be taken to a shelter. Most people stayed, desiring to take their chances and stay with their houses. My friend Tim AB2ZK commented to me how much fun it was, slogging through waist high rain water. Our mayor was with us most of the night and even he went slogging through the water, with CERT members, checking on fellow citizens. We had numerous trees and wires down. At 3:45 in the morning, Public Service Electric and Gas must have gotten enough calls to feel that there was a safety issue; and they shut down the grid in our area. I am typing this as the power just came back on some 11 hours later. We got numerous calls about flooded basements; but the ones we directed the Fire Department to were the ones where water was coming close to approaching electrical outlets; or a few cases where water WAS coming out of electrical outlets. I really have to hand it to our Director of Emergency Management, Mike Zushma. His job as Director is now part time, due to budget constraints. But he does a full time job, regardless of that fact. CERT was called out and on hand, manning the radios and phones. All the proper personnel were at the EOC. He even managed to come up with some reserve sump pumps for the elderly that really, really needed them. He made sure the EMS trucks got moved when the access road to the Rescue Squad building started going under water. Working with the Road Department, he even had some temporary stop signs placed at intersections where the stop lights went out due to the loss of power. A good job was done by paid staff and volunteers. Makes me proud to able to work with such high caliber people, who are after all, my neighbors. If there was one overwhelming thing I came away with last night was the sense that everyone realized that we were all in this together and that we worked very well together, as a team. Trying to get a few hours of ZZZZZs in before heading off to Emergency Management for 1:00 AM. 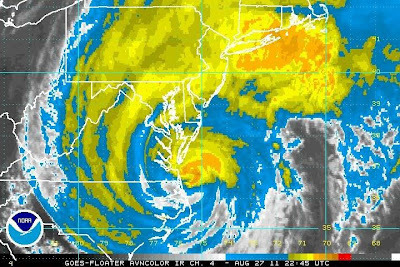 Irene's rain bands have NJ covered. Every so often, you can really hear the rain come down HARD! The eye is still south of the DelMarVa peninsula. The winds have not seriously picked up as of yet. The main worries right here now are wind, trees and power lines. Marianne is home from work; so the family is safe. That will allow me to concentrate on the task at hand coming up. That and a quick stop into Dunkin' Donuts for some ""go juice" before my shift starts. There's been not much activity on the Middlesex County Slywarn frequency. Heck, all the reports would be "torrential rain", anyway. After this is over, I will be looking for a buy on a decent weather station. I have been meaning to invest in one of those for way too long now. West Coast - you got your earthquakes. MidWest, you got your tornadoes. Right now, we got our hurricane - although we did have an earthquake earlier this week, too. No fair! The OEM meeting was brief, concise and to the point. Irene is expected, as I mentioned earlier, to be in our area around 7:00 AM tomorrow morning. With the new moon, high tide in Raritan Bay is expected to peak at about the same time. That means all the run off, which would normally flow off to the Bay, will really have nowhere to go. Wonderful. Mandatory evacuations are not permitted by law in New Jersey. Residents in the flood zones have been told that they can shelter in place, if they desire - but that NO emergency services will be made available to them during the height of the storm. Of course, that will not apply in the case of imminent loss of life, i.e heart attack or stroke. Official shelters are being opened in Woodbridge and Edison. The American Red Cross does not have the facilities to open shelters in every town. If anyone from South Plainfield wishes to evac to a shelter, we will get them there. I signed up for second shift at the OEM. First shift will be from 8:00 PM until 1:00 AM, second shift will be from 1:00 AM until 7:00 AM tomorrow morning. My area of responsibility will be to maintain Amateur Radio backup communications between South Plainfield and Middlesex County and the New Jersey OEM. Fortunately I will not be alone. Greg K2KGG will be there with me. Always good to have each other as backup. As of this point, Irene is crawling up the coast at a blitzkrieg like speed of 13 MPH. My shift tomorrow morning will end as the proverbial "matter" starts hitting the fan. Of course, I can maintain radio comms from the house, if needed; but for the very worst of it, I want to be with Marianne and Joey and Cara. They are the first, foremost and utmost concern that I have at this point. We were also informed that the State has decided that, if the number of trees downed becomes too numerous, that the grid for the entire state will be turned off and that emergency repairs will be conducted AFTER the worst is over. We have had the second rainiest August in history this year. Let's pray these trees keep their roots underground. It's 1:00 PM on Saturday. Intermittent rain has begun to fall - nothing big so far. Went out to the grocery store this morning just to pick up some "normal" things, some iced tea, soda, cold cuts, cat litter, etc. The lines were crazy! I doubt there's bread, milk, bottled water or a "C" or "D" cell to be had within miles! From what I've seen on the National Hurricane Center site, we may get off relatively easy. Looks like Irene hasn't been doing any pushups and may actually be getting weaker. Irene is scheduled to be about 50 miles directly east of my QTH at around 8:00 AM tomorrow. Unless things change dramatically between now and then (I hope she doesn't decide to play "pinball" and bounce around the DelMarVa peninsula, picking up steam), she may just barely be a hurricane at that point with sustained winds at that magical 75 MPH mark. You can never take a hurricane lightly, but it looks like the media (I don't mean the government, I mean the popular media) may have gone overboard once again. I saw headlines in local papers proclaiming "Storm of a Lifetime?" and "Worst in 50 Years" and stuff like that. Maybe, in a way, that's a good thing. It definitely caught the public's eye and made them aware - and that's the good thing. CERT meeting in less than an hour. I'll know more about South Plainfield's contingency plans after that. I do know for a fact, however, that our Department of Public Works has handed out more that 6,500 sandbags this week. Nice to see that people are actually being proactive for a change. On the other hand, my dog Jesse, is VERY skitterish today. He just can't seem to find room for himself and is staying close underfoot. I wonder if he's sensing the coming lowering of barometric pressure or something? This is like staring down the barrel of a loaded gun. As an ARES Deputy Emergency Coordinator for Middlesex County, NJ, my e-mail box has been inundated the past hours with all sorts of glad tidings about Hurricane Irene. And let me tell you, right now it's not looking good for New Jersey. Reports, warnings, path predicitions, rainfall amount predictions, wind velocity predictions .... and that's just what I've been getting from the National Weather Service! There's also been other e-mails from NNJ ARES Leadership, our own CERT group keeping in touch, etc, etc, etc. We've been blessed over the last decade not to have had any major hurricane damage in this area. The worst was Hurricane Floyd back in 1999; and unfortunately, VERY unfortunately, Irene seems to be following an almost identical path. This could result in major coastal flooding and beach erosion. The Raritan River basin will most undoubtedly suffer MAJOR flooding. Major portions of South Plainfield will probably be under water, if past experience proves true. Not exactly the way I was hoping to spend the weekend, but - this is the kind of thing we have been training and drilling for. As most of you know by now, there was a 5.9 magnitude earthquake today, the epicenter of which was located in Virginia. It was felt all up and down the East coast and out into the MidWest. I felt nothing at work; but then I work in a computer data center, which is a glorified euphemism for "fortified bunker". My wife called me and told me that she felt it, our kids felt it as the house was "shaking like crazy" according to her. Closet doors were rattling in the door jambs and she thought our dog was under the bed, pulling a hairy fit - but he was downstairs at the time. All the neighbors met out in the street to talk and comment about what they had felt. Importantly, there have been no reports of any injuries or any real, widespread property damage, which is a good thing. So as far as earthquakes go, while it was felt by a good many people and got a lot of folks excited, it was rather insignificant in terms of damage. The 5.9 earthquake that shook Virginia was felt in New York City this afternoon. Tremors were felt all across the East coast. In wake of the earthquake, cell phone service has been significantly disrupted. The JFK and Newark airport control towers have been temporarily evacuated, as has City Hall. MTA and the tunnels are unaffected. Cell phone service significantly disrupted? The vaunted Cell phone service that was supposed to negate the need for Amateur Radio in times of real emergency, becomes "significantly disrupted" over a (for all intent and purpose) rather NOT major earthquake event? This is the SAME Cell phone service that will carry the day when a BIG earthquake or MAJOR hurricane turns everything all upside down? I think not. And I for one, sleep just a little better at night knowing that there are a ton of you out there, who like me, are ready to go into action and volunteer your time and talent unselfishly in your communities when the big disasters do occur, whether it be with CERT, RACES, ARES, SKYWARN, SATERN or whatever. 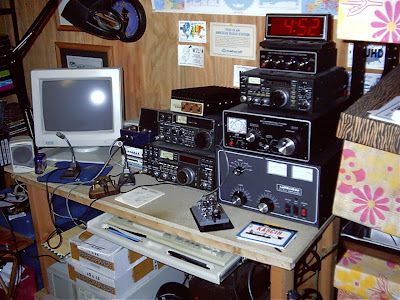 Amateur Radio - you just gotta love it! Operating as K6JSS/2 tonight, I was calling CQ on 7.034 MHz. After about five minutes of no takers, I start hearing someone begin to tune up on the frequency. After that assault on my ears was completed, a relentless string of "CQ de WB9VRP" erupted on frequency. OK - so maybe being QRP, he didn't hear me. I'll give him that much. But tuning up on frequency? Not sending at least one "QRL?" and listening for a bit before initiating a long winded CQ ? I used to withhold call signs in these types of posts before - no longer. Bill Pasternak mentioned this on Facebook. Totally not related to Amateur Radio - but soooooo beautiful! Things that make me shake my head. First, a rarity. At lunchtime today, I decided to step out from work and head over McDonalds. I haven't been to McDonalds in a long time! I went through the drive through and ordered the No. 2 Combo. Two cheeseburgers, fries and and a sweet tea. The total came to $5.03. I handed the kid a tenner and three pennies. He tried handing me back $4.97. When I mentioned that I gave him a ten and three pennies and all he had to give me was a five dollar bill back, I got the deer in the headlights look. Second, something you might have read on John AE5X's blog. Heathkit is re-entering the kit business - yay! The same story was over on e-Ham. Against my better judgement, I decided to read some of the comments. I wish I hadn't. Really ..... what do folks expect? Heath is going to re-enter the kit business after, what, 20 some odd years and what do our loveable, wisdom filled Ham brethren expect? A HW-505 or perhaps the equivalent to an Elecraft K5 as a first offering? Baby steps, people! Obviously, they are going to follow a business plan to see what the market will bear. If it's good to them, I am sure Amateur Radio equipment (probably only accessories, guys) will follow in due time. Talk about wanting blood from a stone! "Hello Larry, I'm curious about how hams get interested in their hobby. If you don't mind, I'd love to know what made you interested in QRP exclusively. I read your bio on QRZ and you said you dabbled in QRP but in 2003 you began to operate at QRP exclusively. What made you do that? What was the tipping point for QRP only?" 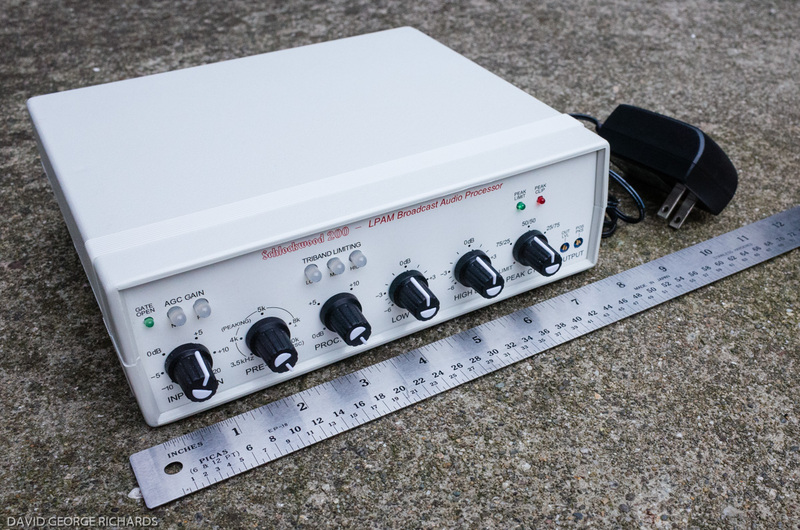 "There are probably two main reasons I decided to go totally QRP. In the year 1998, I moved to my current QTH. At my old QTH, I ran a lot of QRP; but also a lot of QRO. I had a neighbor who really made my life a living hell at times. He would accuse me of constantly wrecking his TV picture. I had him over to my station, where I happened to have a portable TV set up. I showed him how the picture stayed stable while I operated; but facts didn't figure into anything - I was his culprit. When I put up a GAP vertical, things got even worse. Just to show you how hilarious it had gotten, he met me in my driveway as I came home from work one evening and really berated me about my station and how I was ruining his TV watching life. I had asked how bad it was during the past week; and he told me what a job I was doing on him,and how he was going to report me to the FCC. That's when I said to him, "That's pretty amazing, Bob, considering I was away in Switzerland on business for the past week". When I moved to South Plainfield, I also ran QRO for a bit; but always had a nagging feeling that somewhere, someone was going to see the antennas and start complaining. I felt that by working low power, the odds of that happening again were likely to be slimmer. THEN ...... in 2000, my wife and I had the first of our two children. The leg of my dipole is anchored at the house right outside my son's bedroom window. The rage at the time was RF Safety and I just felt that by running 5 Watts that it was probably a good thing for him too, even though I never bought into the "RF cancer causing theory" horse hockey. But your perspective changes a tad when your own kids are in the picture; and I figured "What the heck! Better safe than sorry." I can't say that there hasn't been a time or two since 2003 that I wish I had some kick to the signal when chasing DX; but all in all I've been very happy. Life is a lot simpler and less complicated when running all QRP and CW." 3) Simplicity - refer to Sunday night's post - "Reminiscing"
4) Monetary factors - yes, you can go whole hog into QRP, too. But for the most part, as long as you don't go over the deep end, QRP is pretty wallet friendly. I mean, look at my K2. Even with the options I have, I have a very good (at one time state-of-the-art) transceiver for under a grand. $600 at the time for the 10W model and I added the KAT2 autotuner and the 160 Meter board. That's not bad considering what you could pay. 5) The challenge. 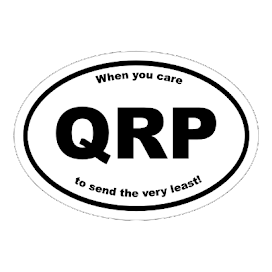 I've often said that QRPers are no different from any other Hams; and this is true. But we do impose voluntary limits on ourselves. This not only makes it interesting; but keeps it fresh and alive! It's like the old Novice days in the here and now. 6) Community - This was not as evident to me when I first made the switch; but has become so in the years since. 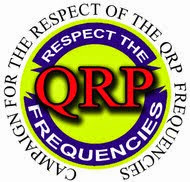 The QRP community is like no other that I have experienced in Amateur Radio. The expertise that is here that is given in an unselfish, kindly manner is flabbergasting at times. 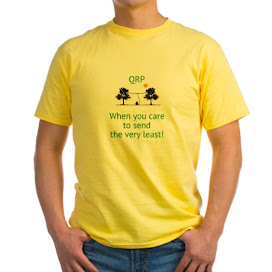 Some of the "best-est" friends that I have never met face to face are from the QRP community. I hope to meet some of you for real, somehow, someday. Anyway, that e-mail is the kind I love getting! It made me do a little thinking and it was interesting, to me at least. Thought I'd share. And a special thanks to the author of the letter - I have a feeling he checks this space out on a regular basis. Last night I spent about 2 hours on the air as K6JSS/2 and about three tonight. The QSOs are rolling in and if the QSO rate stays the same or gets better, I should have between 100 - 200 QSOs as K6JSS/2 before next Sunday evening comes and Indiana takes over. A big thanks to Chris WB2VEN who has been K6JSS/2 during the daytime while yours truly is slaving away at work. Between the two of us (and whomever else might volunteer), I hope we can get you all in the log! This weekend will see a lot of time spent on the air in addition to each night this week. Look for us on QRPSPOTS! Trying to do not too much today. It is rainy and cool and I am trying to rest my right foot. Yep, I messed it up again, pretty much like last year, excepting this time I did a pretty good number on my ankle, too. So once again, I am wearing "the Boot" and probably will be for the next couple of weeks. Geez, there's a lot of stuff there! An Icom IC-751A with an Icom all mode 2 Meter rig, an IC-251A above it. On top of that was a brick amplifier for the IC-251A. To the right was an Ameritron amplifier (yes, I actually had one and used it, probably all about 25 times or so). Above it was the high power antenna tuner. Above that was my QRP rig, an Icom IC-730 that I had modified so that I could lower it to the 100 mW level - sorry I ever got rid of that radio! Above that was some sort of MFJ memory keyer that I don't even remember having! I pretty much sold most of the other station off to buy the K2 among other things. I don't have the external autotuner anymore as I eventually purchased, built and installed the KAT2. The station is pretty much the same today with the addition of a few other keys besides the Hex key. Same desk top - look at the space difference! then you just haven't been to eBay, lately! I always keep an eye on a saves search for "QRP" items. There is something in particular that I am interested in and was going to "Buy It Now". Unfortunately, I hesitated for too long, and said item didn't go as a "Buy It Now" and is involved in a bidding war for more than it's probably worth - (definitely more than the "Buy It Now" price). Bully to the seller! "What the market will bear". Right? What caught my eye though, is someone has up for sale an advertising flyer for the Yaesu FT-817ND for $9.95 (free shipping!). Man, you have to be SERIOUSLY in love with a radio to pay $9.95 for a sales brochure that can probably had for free at a bigger hamfest or HRO or AES for that matter. I wouldn't pay that; but in a way, I can see a kind of logic behind it. The FT-817ND is a wildly popular QRP radio that has a "following". Maybe the seller of the brochure is counting on the FT-817ND gaining "classic" status someday. Who knows? If he's betting correctly, then items like that brochure may be worth something 25 to 30 years from now, ala` Heathkit catalogs and such. I'd rather put the 10 bucks towards a kit - but that's just me. I got confirmation via e-mail that I did make it into the K6JSS/3 log. I received a nice e-mail from Serg KB3VCQ. letting me know. In fact, he's even posted to his blog about his adventures as K6JSS/3 over the past few days. Now, I really have to hand it to Serg (and not just because I worked him!). No, it takes guts to volunteer for a CW Special Event Station when you're new to CW and you still feel like you're kind of out of your element. When I was a Novice and was still finding my way, I wouldn't have had the cajones to jump in and do what Serg did. He deserves a round of applause from all of us for diving into the deep end of the pool and performing well under what could be described as difficult circumstances, at best. but I think I am fortunate enough to be in the K6JSS/3 Delaware log. I tried to sneak in a QSO twice tonight on 80 Meters and I think I was successful on the second attempt. Definitely heard my call come back to me and a report of 339. I sent a 559 back. After me, WB3AAL was giving it a go; and by then K6JSS/3 was up to about 579 and climbing. Unfortunately, he had to QRT to take care of personal stuff. I may try again tomorrow during the day, just to make sure. I don't mean to be hoggy or anything like that; but I have them all so far, except for New Mexico. I'd like to keep the streak going. But you know what just popped into my head? The hardest state just might be my own! I sure hope someone will be manning K6JSS/2 the same time I'm on the air, so that I can get credit for working New Jersey. Or maybe that's a given since I'll be handing out QSOs? Hmm ...... I'll have to run that past Jim W4QO. If I work K6JSS/3 this week, I will have been very fortunate. For reasons I won't go into here, it looks like Delaware will be a very tough nut to crack. It just might end up being the only state besides New Mexico that I have failed to work since this entire K6JSS Special Event Station began. If it wasn't NJ's turn next week, I might have been severely tempted to take a road trip on Saturday and activate The First State from a park, somewhere - or maybe even the Ham Radio Outlet parking lot! But I plan to be on the air every night next week, so it looks like W2LJ will stay in New Jersey this weekend. "Keys IV" was the last book written by Dave Ingram K4TWJ before he became a Silent Key last year. According to his wife, Sandy, it was one of Dave's last wishes that the book be made available to anyone who would like to have it for personal use. It's a nice book, as evidenced by Dave's friendly, easy writing style. FOBB 2011 results are in! The results for the Flight of the Bumblebees for 2011 are in and posted! Thank you all for participating, thanks to the ARS for sponsoring this. Thanks to all of you out there who have worked with me on this. I had a blast and hope the ARS will allow me to help out again next year! The QRP community lost yet another giant today. Tom Hammond NOSS became a silent key after a long battle with cancer. If you've built any Elecraft rig and spent some time on the Elecraft e-mail reflector, then you know or have had some contact with Tom. While others knew him much better than I, we did trade some e-mails back and forth with regards to Spectrogram and using it to align the K2's crystal filters. Tom was a gentleman, patient and kind with a guy (me) who just wasn't "getting it" at the time. The "Giants of QRP" are giants because, like Tom N0SS, they genuinely enjoy giving. It's not about the fanciest rig; or the highest score, or the biggest DXCC total. It's about touching lives, helping people and making a difference. That's what all the "Giants of QRP" and the giants in all other walks of life, for that matter, have in common. Tom, have fun in the Big Shack, where propagation is the only thing that's hot and all signals are 599! I've been listening on and off to the QRP Foxhunt on 20 Meters tonight. I can only hear one of the Foxes, and that's Dale WC7S in Wyoming. He's at ESP levels most of the time and when he gets REALLY loud, he's all of about 229! Looks like a double skunk pelt for W2LJ tonight! I've also been tabulating the results for Flight of the Bumblebees. I am working on a spreadsheet and so far I have tabulated about a third of the e-mail logs that I have received. I received 86 logs; so if you haven't gotten yours in yet, there's still time - although we're cutting it close! I hope to have everything figured out and published for Monday. While final results aren't done - I have posted some comments that I received that included photographs. This has been an experience! I never dealt with editing a wiki before; but it's really almost like doing this blog. A bit more basic as I've had to learn the format and stuff; but it's always nice to gain experience with something new! So ........... as a reminder ......... if you have a FOBB log with or without pictures, I'll accept them until Midnight Friday night / Saturday morning. I'd love to hit 100 logs sent in! Thanks guys! Notice that all three FOBB videos were produced by Polar Bears - guys who love to get off the ice shelf and go out into the field to operate! I have not been inundated with FOBB results; but they have been coming in, in a steady manner. So far, from just about everyone's comments, FOBB was quite the blast and everyone had a good time. I have even been seeing some videos posted to the various QRP sites. This one is courtesy of Chuck AF4o - fellow Polar Bear. Enjoy! More to come real soon. Yesterday's FOBB was an eye-opener for me. I tend, some times, to get overwhelmed with the gadgetry of Ham radio. I fall into the old trap that purchasing fancy antenna accessories is going to make for a better portable operating experience. Yesterday's experience using a simple End Fed Half Wave wire with a counterpoise forced me to look at things anew. Due to the success I had yesterday, the EFHW will be my antenna weapon of choice of choice for portable ops on the future. It's basic, it's simple and it's a no-brainer in fact. Get the wire up in a tree; and you're good to go. I know I used the 20 foot crappie pole as a support yesterday; but it dawned on me today that even that was not needed. I could just as easily have gotten the vertical portion of the Inverted L accomplished by using the tree I was sitting under as a support. I would have gotten more vertical, that's for sure, as the lowest tree branch outdid the crappie pole height-wise by a longshot. For instances where trees are not available at a given location (ie. the beach, for example) , I will keep the Buddistick in the portable antenna arsenal; but it has become my last resort. The EFHW and counterpoise is less to carry and is way easier to use - to the point where you don't even have to think about it. Using the end fed wires makes the need to carry an antenna analyzer unnecessary. I can't imagine setting up the Buddistick without one. I suppose you can; but I "ain't" Budd Drummond and I don't have his tribal knowledge or skill. I had the EFHW up and working yesterday in minutes. My only concern was not getting the wire all tangled up as I deployed it. The Buddistick, by its nature, is never that simple for me. Now please don't misconstrue - the Buddistick is great piece of equipment and I've used it many times with great success. It's just that it's not as "simple"; and that seems to be what I crave at this point. The idea is to get on the air as quickly as possible and OPERATE - not futz around with equipment all afternoon trying to get a decent antenna match. That is not to say that there aren't folks out there who own this commercial antenna stuff and know it like the back of their hands. They probably can have it up and operating just as quickly as my EFHW. I'm just not a member of that fortunate group.